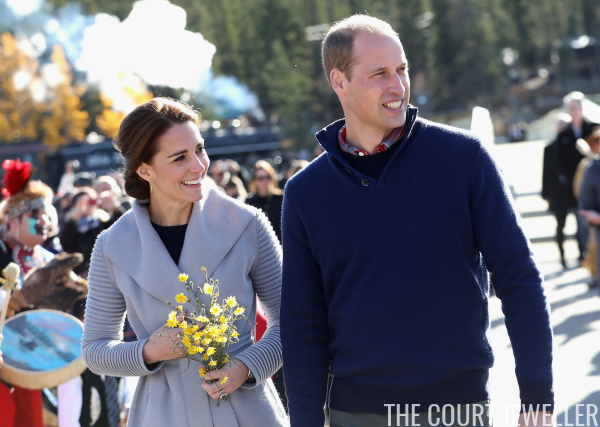 The Cambridge tour of Canada's stop in the Yukon continued today in Carcross, where William and Kate were greeted with an official welcome ceremony. 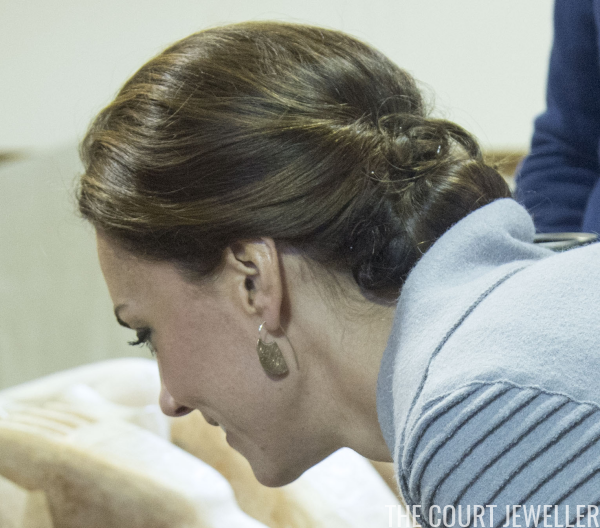 Kate changed into a new outfit and jewelry after today's earlier museum visit. The gold earrings she wore in Carcross were made by a local designer, Shelley MacDonald. Here's another angle on the earrings. 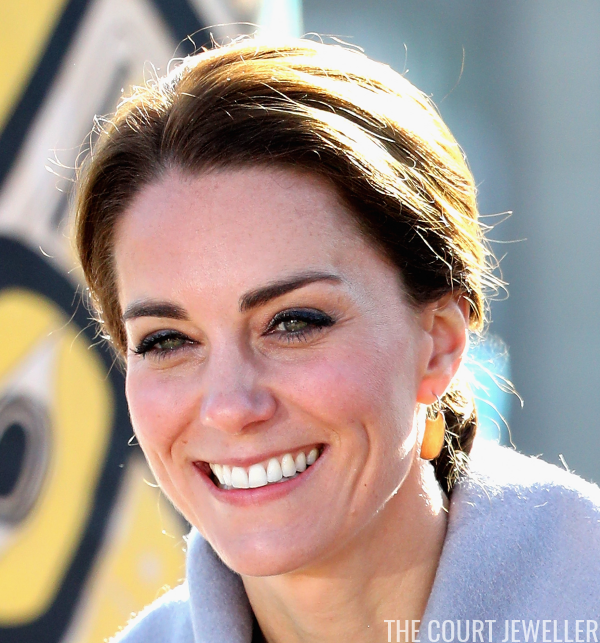 They were reportedly bought by Kate's styling team at a local boutique in Whitehorse. MacDonald is a Yukon-based goldsmith and jewelry designer. According to her Facebook page, she "draws and incorporates her inspiration from the northern beauty of her visual environment, which emulates through her more recent collections." And one more look at the modern, gold-toned earrings. You can also purchase MacDonald's jewelry on Etsy. 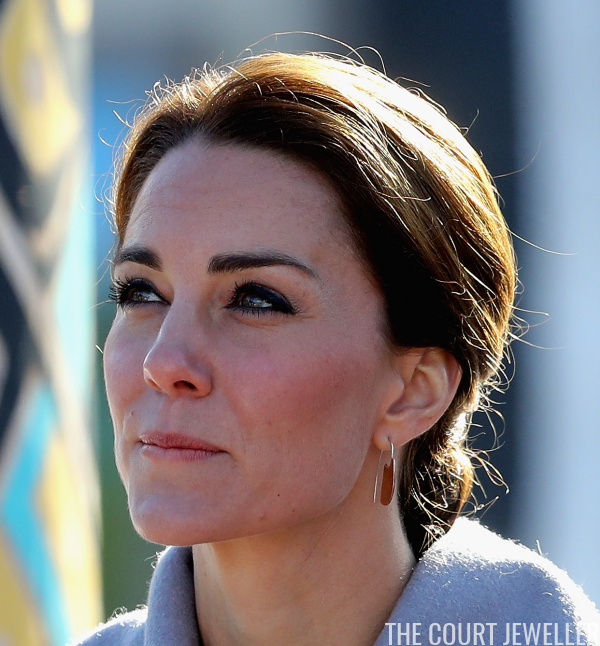 Love that Kate's wearing pieces from an independent jewelry designer!